The list of Wii U exclusives is getting rather short as the system heads into its twilight, perhaps ahead of its time, but there are still intriguing games to keep us busy. One of them is Twisted Fusion, a title that emerged from a successful Kickstarter campaign back in Spring 2014 and is finally landing on the store. It's the work of Lewis Pugh through his Leuvsion, and has clearly been a passion project. Twisted Fusion seems ambitious on the surface - it utilises the GamePad for a second display for those that want it (but also supports single-screen gaming), and offers a fair bit of freedom in approach, with added extras like monster breeding to explore. We caught up with Pugh ahead of its release to learn a little more about the specifics. Certainly. My names Lewis Pugh and I live in England. I've been developing games almost as long as I've been playing them. I'm a huge fan of everything Nintendo and have been hosting Nintendo podcasts for several years. The first Nintendo system I owned was an original Game Boy, and it was there I was hooked to some of the great gaming franchises that I still play to this day, many of them providing inspiration for Twisted Fusion. 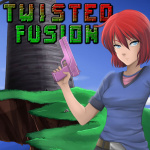 Twisted Fusion was initially crowdfunded back in 2014. For those not aware of the details, can you introduce the core principles of the game for us? Twisted Fusion is giant open platformer, taking inspiration from the Shantae series, Cave Story, Pokémon and more. It can be tackled in any order, and all your abilities can also be upgraded in any order. There's no hand holding here, you are dropped into the middle of a big world and then it's up to you to work out who to go and who to trust. Twisted Fusion is stuffed full with optional things to do from taking up quests, rescuing Go Go's to unlock new characters and costumes, to a fully featured monster raising and battling system. Both the scope of the game's world and the variety of features and apps has increased tremendously since it original design. Has the concept and project evolved a great deal since that crowdfunding campaign, or has the overall vision remained consistent? The overall vision of the open platformer has stayed true since its initial pitch. However, both the scope of the game's world and the variety of features and apps has increased tremendously since it original design. As development was progressing and testing continued, I realised if you don't pack the world with people to talk to, things to find and quests to complete, the large world ends up feeling empty. This was one of the reasons for the game taking a lot longer to develop than originally planned. How important was community feedback from the Beta builds in shaping the final game? Previous games to this I had made in a vacuum, but because this game was crowdfunded I was giving regular updates on its progress from a very early stage. This helped shape the game for the better; the more eyes you can get on what you're creating at an early stage give you time to both consider these ideas and do something about them before it's too late. In addition to the regular updates I also ran betas for the game during its development. The beta was played on the PC and allowed backers to play the game as it was developing, this was important in getting the mechanical feel and the balance of both economy and difficulty just right, especially as both can be scaled at any time by the player. Twisted Fusion seems to be ambitious in terms of its features, with the inclusion of breeding monsters and so on. Can you outline the most important gameplay mechanics, in your view, and talk about how they come together as a cohesive whole in the game? In my view, the most important mechanic is the freedom the game gives you. It's all well and good having loads of different types of features in your game but all of them are unlikely to gel with everybody. Isn't it annoying when an otherwise good game has a mechanic you don't get on with, but must use to progress? That's why I made sure that this game was as flexible as possible, things can be done in any order, and there are multiple ways to progress. Swapping characters, questing, monster raising and more are all optional features that many will enjoy, but I know they are not for everyone and this game can be played as a traditional 2D action platformer, most of the story is optional too. As this is a Wii U exclusive that supports GamePad functionality, can you talk about the features we'll see on the controller? The display has been designed for both (TV and GamePad) and isn't simply stretched up and down to fit different resolutions. It's like having a console game and portable all in one. I spent a lot of time thinking about how best to use the Wii U and its unique features. Dual-screen setups can be great when used well, but often restrict off-TV play. Also, dual-screen setups are not for everyone, so you need to be able to play it on the TV with a Pro Controller without looking at the GamePad at all. I'm very happy with the design of system I made in the end. It does support dual-screen, off-tv and TV only, without any compromise of features. So, when playing the game on the TV, with a Wii U GamePad the touch screen will show your character's smartphone. Using its touch screen, you can access different apps without pausing the game. These range from the difficulty slider, fast travel system, quest tracker, My Monsters, loot store and more. When playing off-TV or TV only you simply pause the screen to bring up the character's smartphone on the screen you're playing with. The game also does something special with how it displays on both the TV and the Wii U GamePad that I've not seen other games do. The game renders and scales to the native resolution of each. 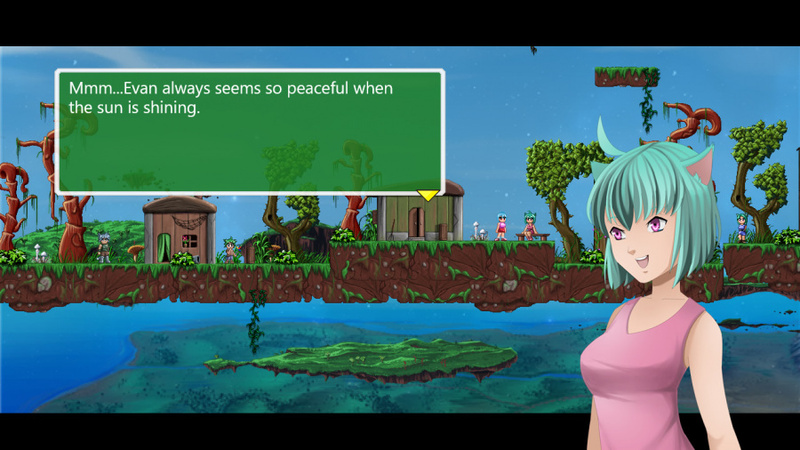 On the big TV screen, you can see more of the environment which is great for multiplayer, when talking to characters the character's profile art and text is more spaced out and the pixel art is pixel perfect so everything looks sharp. On the Wii U GamePad, the pixel art looks bigger because of its smaller resolution, but it's just as sharp. Menus are then full screen and when talking to character the elements are closer together so you can still appreciate the lovely drawn profile art and have nice readable text. In short the display has been designed for both and isn't simply stretched up and down to fit different resolutions. It's like having a console game and portable all in one. Can you tell us about the local co-op play, and how this switches up the experience from playing alone? I love local multiplayer games. Some of my favourite times with games has come from me and some friends gathered around the same TV playing Nintendo games. So, it was an easy decision to add multiplayer to Twisted Fusion, even if similar games are strictly solo experiences. You can play with up to 5 people using the Wii U GamePad, Pro Controller, Classic Controller or Wii Remotes. With multiple people, it is easier to experiment with the many different playable characters, each with their own special moves. With the right players and characters, you can come up with powerful combinations and strategies to take on large enemies and boss encounters. Most importantly you can initiate multiplayer at any time using the smartphone interface and can add extra players, drop players, change characters and controllers whenever, even during boss fights. Your trailers place an emphasis on the story in addition to the gameplay - how important and prominent is the narrative in Twisted Fusion? The story is a bizarre mix of light-hearted whimsy and epic adventure. If you're not looking for a story in the 2D platformer it can be mostly ignored and won't slow you down. However, if you do like talking to characters you will get more backstory. It's also very uninstructive, if you're not looking for a story in the 2D platformer it can be mostly ignored and won't slow you down. However, if you do like talking to characters you will get more backstory. In fact, if you prefer you can play the game mostly blind in terms of what's happening in the fantasy world of Evan you are dropped into, there are some key characters standing a few steps away from where you start but you can ignore them if you choose and just explore, nothing is gated in that sense. If you do like comedy, though, you are in for a treat as a lot of the weird local's speech is written in a humorous way. The Go Go's especially, who are eyeball creatures which often break the forth wall, they even give a comprehensive explanation as to why this is OK. Though it's been quite a long time since the Kickstarter campaign for Twisted Fusion, has enthusiasm remained strong among backers and interested followers? Development did take much longer than originally planned and enthusiasm from backers has maintained throughout. The key I think to this is making regular updates on how things are progressing and showing why the game is taking longer than expected. Showing off new things which weren't part of the original pitch and expanding on things that were, goes a long way. Backers also had access to play the beta at any time. Ultimately transparency is key, communicate often and be honest is the best advice I have if anyone wants to follow in similar footsteps. Are you confident that the Wii U audience will embrace Twisted Fusion, particularly as it's an exclusive? I think the Nintendo audience is perfect for this game. So many of this game's inspirations, big and small, come from Nintendo titles. 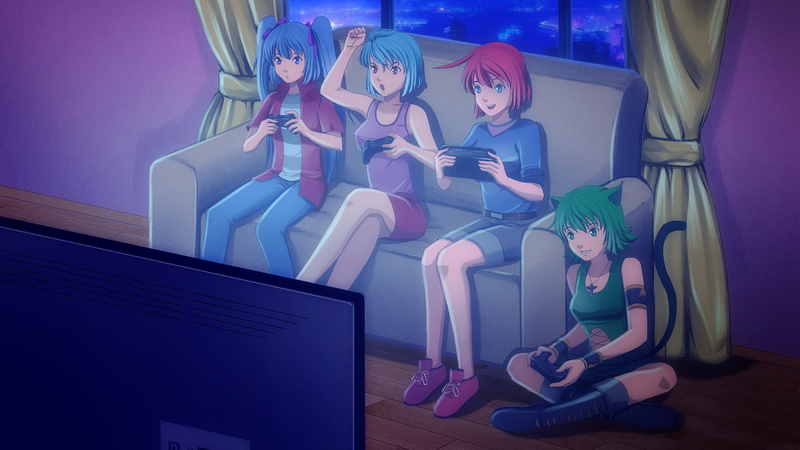 Things like local multiplayer also feel at home on the system and of course the flexibility of having the choice to use a dual screen setup, or off-TV play, gives this game its character which it wouldn't have on other systems. Do you have a final message for our readers ahead of the game's arrival? I would first like to thank them for reading this interview. Being a small indie developer, it can be hard to get the word out about your game, even if you have spent years developing it, there's a lot of competition out there. Twisted Fusion may look like a game you have played before but I do believe it does feel unique, whether playing solo or with friends, dual screen, TV only or off-TV, and gives the player a lot of freedom and flexibility to tailor the experience best for them. It's also a long game, completing the main campaign will take a long time and even once the credits roll there's so much to do and secrets to find. I'm personally very excited to see the community uncover the many secrets (and secrets within secrets!) Twisted Fusion is hiding in both the main game and the My Monsters side game, where evolutions, fusions, stats and more are unknown to most, like when the original Pokémon games launched. I love experiencing and discovering those original games without all the info we have on the series today. Please do check out the trailers, screenshots, read reviews and if you think this could be of interest to you please do support it by downloading it to your Wii U. I think the Miiverse community for the game will be great for players to exchange things they have found and exchange tips and strategies. I of course will also be there, helping when needed. For me this is where the real game begins. We'd like to thank Lewis Pugh for his time. First I thought "what a boring look", but then the gameplay started. Looks interesting. Let´s wait for the review! Looks cool and all but I hope there's a way to zoom in a bit as the camera seem to look way too zoom out. I so dislike those retro 8-bit graphics, but the use of the Gamepad and multiplayer has me interested. This could be something fun to play w/ my boys. 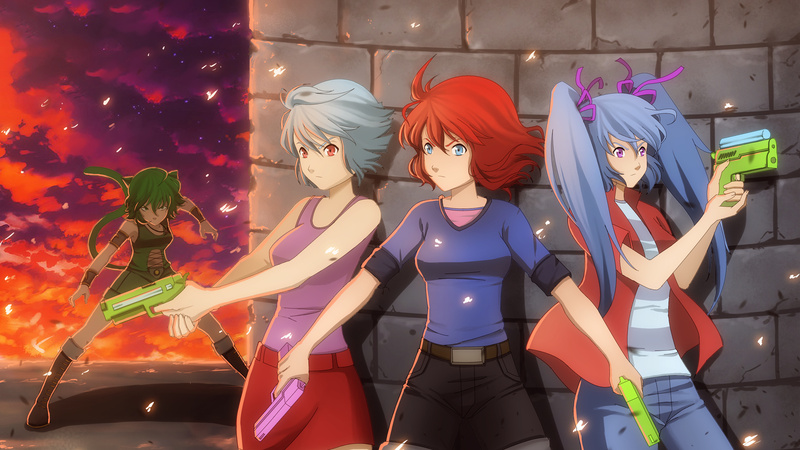 We tried the multiplayer in Affordable Space Adventures but just couldn't get into it. So I'll show it to them and see what they think. Nintendo should hire this guy though, he seems to know is way around the Gamepad. Oops, I forgot, no dual screen play for Switch and Wii U has been abandoned after only 4 years, never-mind. I like their enthusiasm, but the screen's too zoomed out for my tastes. Especially considering the size of the Gamepad's screen, I can't image being able to see anything when using off-TV play, looking at those videos. I guess it's important for Multiplayer, but if they're already offering the option for screen scaling, I should hope they're considering some manual screen size options as well. @CanisWolfred The interview seems to imply that the game doesn't stretch or squash the graphics, rather it uses 1:1 pixels, meaning the sprites will be larger, & the view more "zoomed in" for the gamepad screen. Or that's how it sounded to me anyway. Seems cool; I'll be eagerly awaiting the review. @samuelvictor spot on! Sprites are bigger on the game pad view. There are free updates in the works so ill see if I can get some manual zoom options in as customisable game experience is kinda the theme here. Thanks! I'm just not liking the graphics. Especially not when it's zoomed out. You had me at monster breeding. @leuvsion Even if it has to be patched in, it's an option I know I'd appreciate. I'm glad you/your team are at least considering adding it in. Never heard of this, but at the price, sounds worth a go! Thx for the interview! Cannot wait, I'm glad they didn't abandon WiiU support after the successful Kickstarter like some others I backed....but being exclusive helps, and I hope it sells well, the coop options and ability to drop in and out is what all games need. I didn't hear about the Kickstarter, but this interview has really piked my curiosity. Given the budget price and the good ideas that seem to have gotten into the game, i'll be sure to pick this up. @rjejr " Oops, I forgot, no dual screen play for Switch and Wii U has been abandoned after only 4 years, never-mind. " Come on, as much as I liked the Wii U, it didn't sell well. We all know it, and it's a shame Nintendo has to change things up. But the Switch appeals to me. Regardless, this game does look like it could be good, although it looks like it's very zoomed out. @IronMan28 DS sold really well, 3DS sold well enough, so I'd argue they didn't need to get rid of dual screen gaming as Switch is a handheld in a dock. If Nintendo decides to let us hold the Switch in portrait mode for dual screen gaming then I hope they give this guy a job. But yeah, I'm still bitter about the lack of games on my $350 Wii U. I know it's been out for 4 years, but it kind of feels like it only got 3 years of good game support. Having 6 months, if we're lucky, between Paper Mario and Zelda, doesn't feel like Nintendo is making any effort to support me. I heard about this game some time ago on the NWR podcast when the dev was a guest host. Glad to see it's still coming along nicely. I like the kawaii girls and monster breeding and exploration. I'm certainly going to give this one a try. @rjejr As much as I hope they do make Switch their sole platform (more games on it for me) I don't think they'll do that. So, there is hope for dual screen gameplay, just not on the console side of the equation. And let's be honest, you spent $350 because you felt it was worth it, as did I, and it turned out to be a bad investment. Life is full of bad investments. It's refreshing to see an indie game with strong manga style character art that doesn't resort to over sexualisation to sell itself. Looks like an intriguing experience at a budget price! If the finished game can live up to it's potential I'm happy to jump in. @rjejr They ain't even proper 8-bit style graphics, just sort of "budget" sprites. Gameplay looks somewhat interesting. I'm keeping an eye on it and hopefully it turns out decent. I have to admit I don't really like the character design, though. It's a bit of a shame because with some better art, I think the game could have a lot more mainstream appeal! @yomanation There sure not 8-bit graphics, its not a look I was going for. Surely with the sprite detail it is closer to 16-bit (SNES) than 8-bit (NES)? Even then this isn't meant to look like any particular game or system, like many other retro inspired indie games. The look was meant to be unique. Glad you like the look of the gameplay, there's allot of game here! Might be interesting, but holy cow is the screen zoomed out way too far. The characters are TINY. @leuvsion I'm aware. Good luck with your game, I hope it works for you. @IronMan28 "and it turned out to be a bad investment. Life is full of bad investments." I'm really not upset about it being a bad investment, I know we've gotten on our money's worth, but as I've explained to others, it's like having your wife leave you after you get back from the honeymoon. Yeah, the reception party was great and Cancun was wonderful, but I was kind of planning on being together longer before she left me for another guy. So we barely got enough games to justify the price, but I was expecting more than enough, so I wouldn't have to try and decide if we got enough or not when we'd reached this point. @yomanation Sprites, pixels, dots, 8-bit, 16 bit retro, whatever you want to call it. I'm fine w/ 2D indie games and cartoon graphics - Shantae and Guacamellee come to mind as standouts - but nothing that looks "faux" old. @rjejr Shovel Knight is a much better game than either of those in my opinion (I've played all of them) and it has that pseudo-8-bit look. It's just an aesthetic choice. I don't like pixelated 2D sprites when they don't align properly with the grid, that's when the "8-bit" style games look cheap and... sort of bad. It's an easy thing to implement, too. Awesome interview. I've been following this game for a while. I'll definitely be grabbing it as soon as I can! @leuvsion Plus free updates on the way?! Cool! Yup free updates incoming! No paid DLC here, just the free stuff. The first of which is almost complete! @yomanation My son has Shovel Knight on his 3DS but I didn't like the look of that one either so I skipped it. Plenty of games for me to play I do like to look at to play games I don't. I'm playing Lego City Undercover now, and that entire game is built from blocks, but they are very shiny blocks. And I'm playing Paper Mario which is very primary colors but solid , and Bayonetta 2, which is just awesome looking. Then I'm getting a PS4 and catching up w/ awesome looking games on there. @yomanation "Just waiting for a good offer "
That is 1 of the reasons I buy Nintneod games Day 1 rather than waiting, b/c you never know how many years you'll have to wait, and if the game will just disappear of of store shelves in the meantime. (Though I did get PM for $48 w/ Amazon Prime rather than $60 so that helped.) I always give Sony consoles games 6 months, they are usually half price then. @rjejr In UK we get some good deals a few weeks after launch for most Nintendo games. But yeah I generally avoid buying non-Nintendo games at launch because they depreciate too quickly. I'm not waiting for a 50% off or anything, just don't want to pay full price for it. @rjejr "So we barely got enough games to justify the price, but I was expecting more than enough, so I wouldn't have to try and decide if we got enough or not when we'd reached this point." Honestly, I feel like I had more than enough games on Wii U. Then again, I was in school for a good portion of the time it was considered "alive," and I'm in grad school now so Switch will (hopefully) have more than enough for people with more time on their hands to play than I do. @IronMan28 My kids are 11 and 14 so their entire lives basically consist of playing Wii and Wii U games. On Wii we got 2 of almost everything, Sports and Resort, Boom Blox and 2, deBlob and 2, Sluggers and Strikers, Endless Ocean and Blue World, Galaxy and 2, Epic Mickey and 2, Zelda TP and SS. Plus Madden and some FPS. Wii U got 1 of each, almost no sports - 3DS is getting that Mario game - and very little 3rd party support. And Zelda U is still a ways out. 1 Pikmin game. No Metroid game. No good Animal Crossing game. So while gamers may say Wii didn't have much, it had so many more games than Wii U. And not all of those were shovelware. Wii Play and Wii Play Motion were both shovelware which is why I didn't list them above. @rjejr My daughter is 2 and my wife is currently pregnant with our son, so he won't be playing games for a while. However, my daughter plays Splatoon, she can maneuver pretty well for being so young and she can even kill enemies. Either way, I was the primary Wii U gamer while in school and working full time, so for me the system had more than enough software.